Jim Connolly at the ICSH AGM earlier this week. A CHARITY OFFICIAL who is attempting to transfer over 21 occupied houses to Clare County Council has criticised delays in the process, saying that the entire thing was like “pulling teeth”. Jim Connolly is the chairman and founder of Rural Resettlement Ireland – an organisation which assisted people relocate from cities to the countryside, particularly in the west of Ireland. Connolly set up the organisation in 1990 in order to combat depopulation in the countryside. The organisation went on to become a registered charity funded by government and an Approved Housing Body (AHB) providing social housing. As part of these operations it built and manages 21 houses in Co Clare. Connolly says that the organisation has assisted 800 families in relocating to rural areas from Dublin since it first started operating. In 2012, the government pulled funding for RRI and the group began to wind down, making its small number of staff redundant. However, Connolly states that the organisation is not able to fully close as it still has the 21 houses as assets on its books. The houses are occupied by families, and a process is ongoing to transfer them to Clare County Council. “We still can’t officially close the company as long as we have ownership of these houses,” he said. They are an asset on the books and until they’re transferred finally to Clare County Council they still remain on our books and we cannot say we don’t exist. Connolly said that it had been agreed with the Council that they were to be transferred. We were told before Christmas they hoped that all the paperwork would be done before the end of 2017 – it’s still not finished. So I mean it’s like pulling teeth. 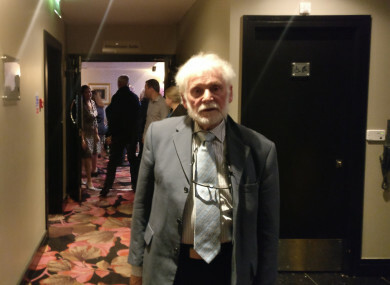 Connolly asked Housing Minister Eoghan Murphy at the AGM if he would consider practical steps to roll out a proper rural resettlement programme. He also questioned if the government has plans in place to prepare for the growing number of ageing directors of charities, and said that he wouldn’t tell his “worst enemy” to work in housing services. He handed the minister a copy of a document that lays out a plan to expand a programme of resettlement in rural areas. A spokesperson for Clare County Council said that it was still in the process of acquiring the houses from RRI. “The houses are occupied. The properties are subject to the normal financial, property registration & due diligence processes which are underway,” the spokesperson said. It is Clare County Council’s intention to complete the transaction as soon as possible once the aforementioned processes are completed. Email “'It's like pulling teeth': Charity official trying to hand over 21 houses to Clare County Council”. Feedback on “'It's like pulling teeth': Charity official trying to hand over 21 houses to Clare County Council”.